XtraMath helps your child master the basic addition, subtraction, multiplication and division facts that are the building blocks of your child's math education. Recalling the basic arithmetic facts quickly and easily is essential for success with fractions, decimals, and multi-digit algorithms. It also frees up mental resources for more complex problem solving. XtraMath student activities are simple and straightforward and take only a few minutes each day. 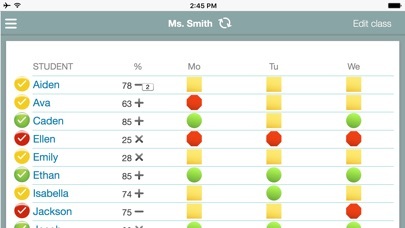 The program uses sophisticated methods to present your child with the right problem at the right time to maximize the effectiveness of practice. Students earn a certificate of achievement when they complete an operation. You will receive a weekly progress report in e-mail. The report shows how well your child knows their math facts and the progress they are making toward mastery. More detailed reports can be accessed via the web at any time. XtraMath has been used by millions of students around the world. 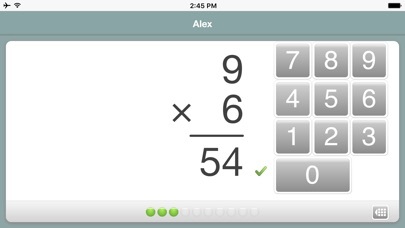 Many teachers choose XtraMath to supplement their regular math curriculum in the classroom. Parents and teachers like the fact that XtraMath is a non-profit and does not display any advertising to students. Math facts are the building blocks of your child’s math education and your child will be well-rewarded for the time they spend practicing on XtraMath. My mom makes me do it every day because my school wants me to all it does is rush you I wish I could give it zero stars. Loves this app. Yes, learning facts is frustrating or boring but we have to do it! Much better than expecting my students parents to do flash cards. Absolutely horrible! Do not recommend it at all. I especially do not like the race the teacher part. If a child is struggling with the numbers, racing the teacher does not help at all. Terrible, terrible app. 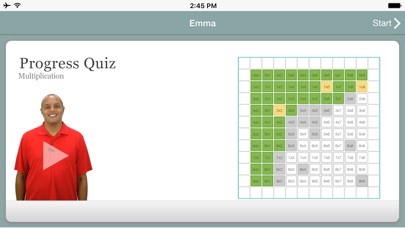 I’m a veteran teacher & I ❤️ this app! I’ve taught 5th grade for 15 yrs & can tell you being automatic w/ math facts makes math so much easier. Not knowing math facts is like trying to read w/o knowing the alphabet. This app is well-worth the few $. I use the free desktop version in class, but I bought this for my own child after seeing how well it works. I’ve never had so much success w/ math facts. Most of my class has passed multiplication, & even those who haven’t yet have improved dramatically. 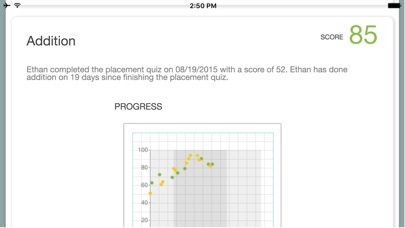 I have students w/IEPs who “just won’t ever be able to memorize them” about to pass. They came in barely knowing their 2s. Now their down to a few 9s. 10 min a day is all it takes (& it tells you when you’re done). The app has you practice the ones you miss to help you improve. I tell my students to focus more on getting them right than being fast. That makes a huge difference in their success. I ❤️ this app! We had such a terrible year last year we had to change schools. My 4th graders 3rd grade teacher did nothing with them. I would ask if she was ok and if we could do something at home. He said she was great. She went from the upper 90th percentile end of year testing to failing it! She’s my oldest, I didn’t know what they were teaching, I trusted she was doing well as she has done every other year. We had SOOOO much to catch up on over the summer to get her back where she was. 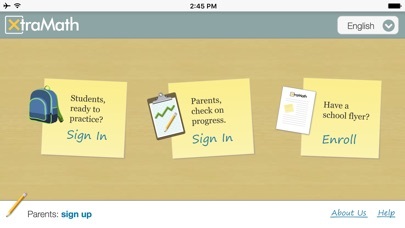 Her new school uses this app. It helped sooooo much! It’s a fun game way to teach them the very basics, such as times tables, that makes the advancing math so much easier for her to learn and do. I cannot thank the creators enough, or recommend this app enough! Nice app! A little pressured, but still nice! My only problem is that sometimes you will be forced out of the app (or something of the sort), forcing you to sign back in. It doesn’t affect me now, but it did when it started happening, as it makes you “ race the teacher “ again! Twice! Sometimes, even three times! Still, a nice game nonetheless! Good job developers! Excited to see your next game!